The New Zealand Illustrated Magazine for 1 March 1900 gives us a good early biography of Thomas Mandeno Jackson. 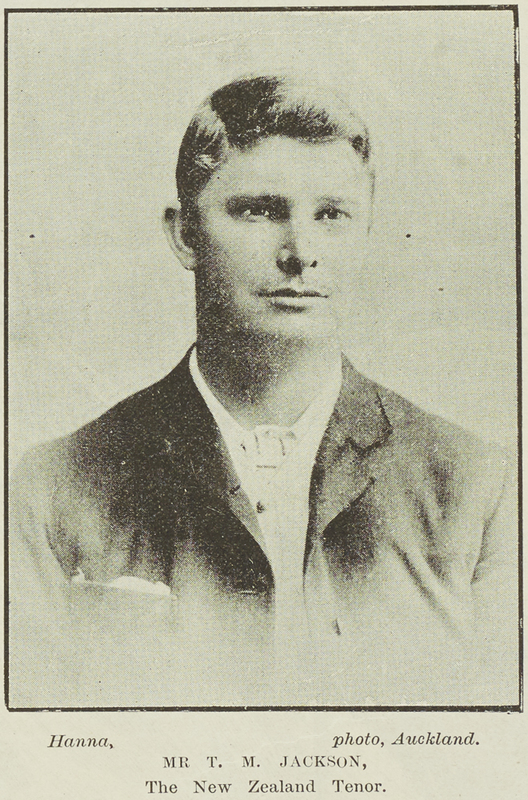 He was born in 1863 and was the son of Samuel Jackson, a well-known lawyer in early Auckland. According to Thomas Mandeno Jackson’s obituary, he began working as an auctioneer about 1883. By 1887 he was conducting his auctions at his Dunblane Auction Mart in Queen Street, Auckland. In his spare time, singing in amateur opera was his hobby. Ref: New Zealand Herald advertisement, 7 November 1887. Retrieved from Papers Past on 25 October 2017. Thomas Mandeno Jackson first came to public notice when he sang at the Remuera Public Hall. Soon he was noticed by a touring Australian opera singer and musical examiner, Madame Steinhauer Bahnson, who often performed in New Zealand during the 1880s and 1890s. Madame Steinhauer Bahnson invited Jackson to join her singing school in Melbourne and he travelled to Australia in 1892. After completing his training in Melbourne he sang in Australia with Williamson and Musgrove’s Comic Opera Company. 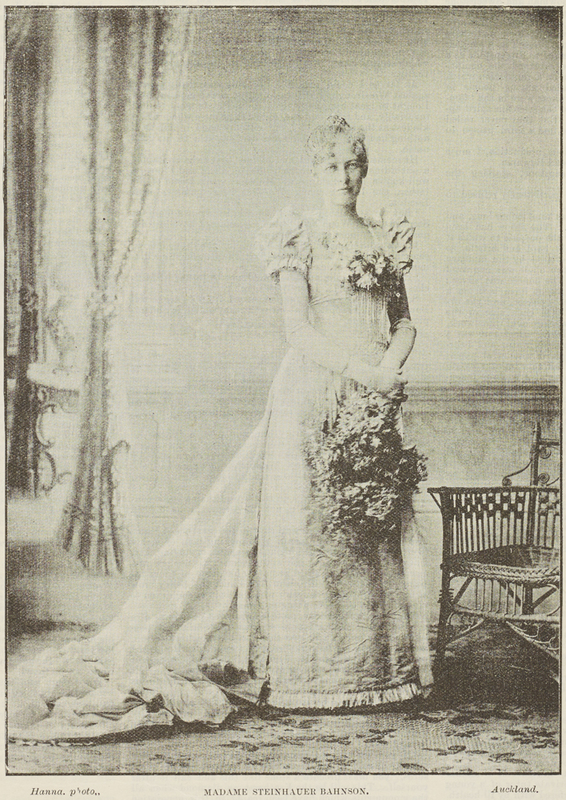 However an English opera star, Madame Belle Cole, who was touring Australia, soon talent-spotted Jackson and offered him a tenor’s role in her Concert Company. After the Concert Company’s colonial tour he moved to England where he completed his studies at the Guildhall School of Music. After that he spent the next ten years touring and singing throughout the British Isles. 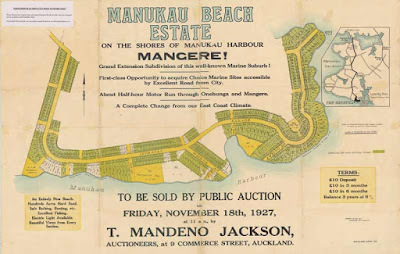 However, in about 1904 Thomas Mandeno Jackson returned to Auckland and soon established a thriving business auctioning land and real estate. Just before his death on 20 April 1908 he travelled to North Auckland to conduct a large auction of land at Omapere. Although Jackson appeared to be in robust good health, he actually suffered from Bright’s Disease and suddenly died at Kamo Hotel after an unexpected apoplectic seizure. Ref: 'Sudden death' article, from the Auckland Star, 21 April 1908. Retrieved via Papers Past on 25 October 2017. ﻿﻿Thomas Mandeno Jackson was only 45 when he died. He was buried at Purewa cemetery and his memorial stone takes the form of a broken column, symbolising a life cut short. His real estate and auctioneering company lived on after his death, finally being established in a building on the corner of Swanson Street and Queen Street in Auckland city. 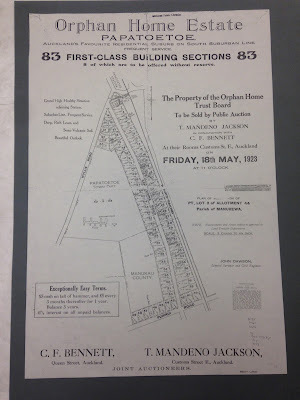 In 1923 T. Mandeno Jackson Ltd auctioned land at the Papatoetoe Orphan Home Estate. 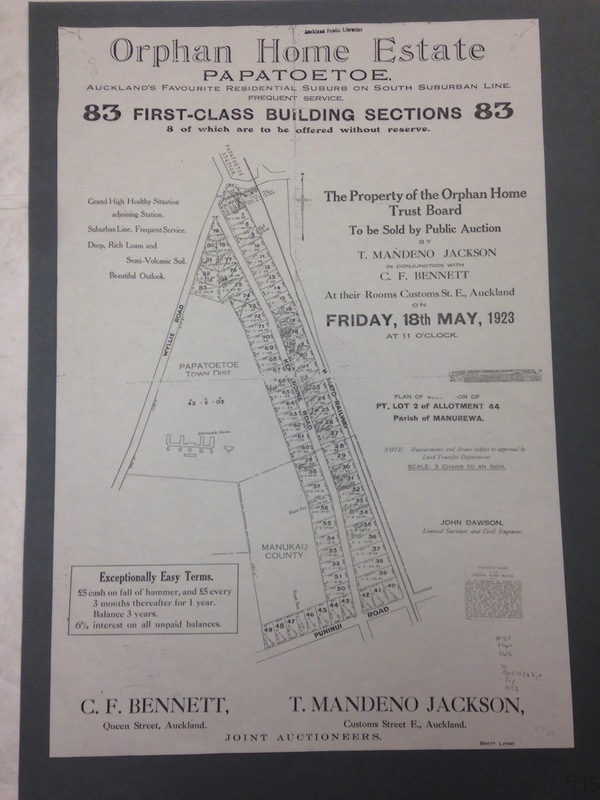 During the 1920s the company also auctioned allotments of land at Portland Road, Remuera. 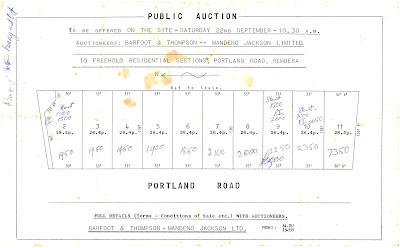 Ref: Allotments for sale on Portland Road, in Remuera, 1920s. NZ map 7825. And in November 1927 T. Mandeno Jackson Ltd auctioned sections of land for the fledgling Manukau (Watea) Beach Estate in Mangere. Ref: Manukau Beach Estate map. Retrieved from Manukau's Journey website on 25 October 2017. 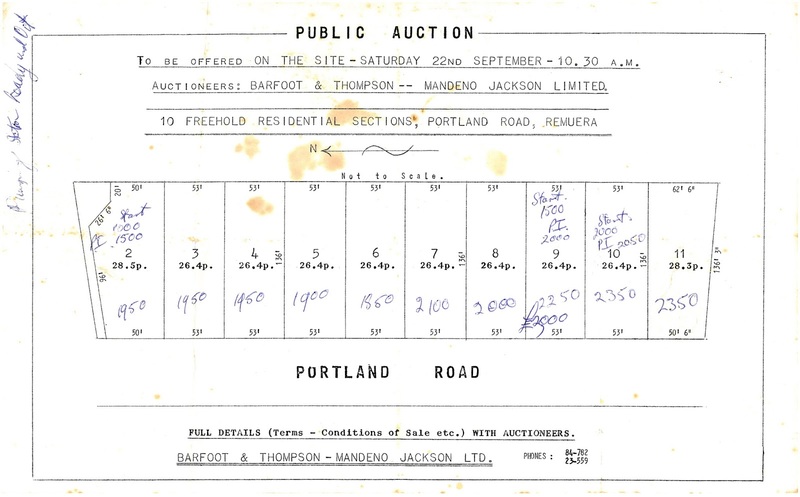 In 1949 T. Mandeno Jackson Ltd was bought out by real estate competitor Barfoot and Thompson but seems to have continued operating for many years as a subsidiary company. Heritage Images has a panoramic photograph including the new Mandeno Jackson building in Commerce Street taken about 1973 and the firm is listed at this address in the Wise’s Post Office Directory until 1976. However the photograph below was taken on 25 February 1964 and looks along Shortland Street towards Queen Street. It shows the original Mandeno Jackson building on the corner of Swanson Street. Ref: Auckland City Council. 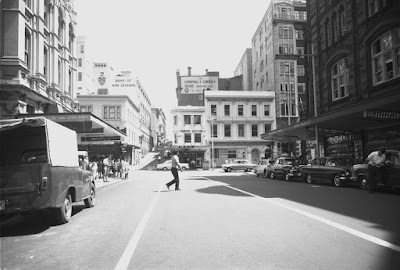 Looking west along Shortland Street towards Queen Street, 25 February 1964. You may be interested that Mandeno Jackson is currently thought to have been the first New Zealand recording artist. In the Zonophone records catalogue for 1904, there is listed a 7" 78rpm disc of 'Violets' recorded by Mr Mandeno Jackson, London (Zonophone 42001). This was possibly issued shortly before he returned to New Zealand. The record predates by a couple of year a disc by Wellington singer John Prouse, previously thought to be the earliest. As far as I can determine, there are no library or archival holdings of Jackson's 'Violets', but I would love to see a copy preserved at the Alexander Turnbull Library (where I work).